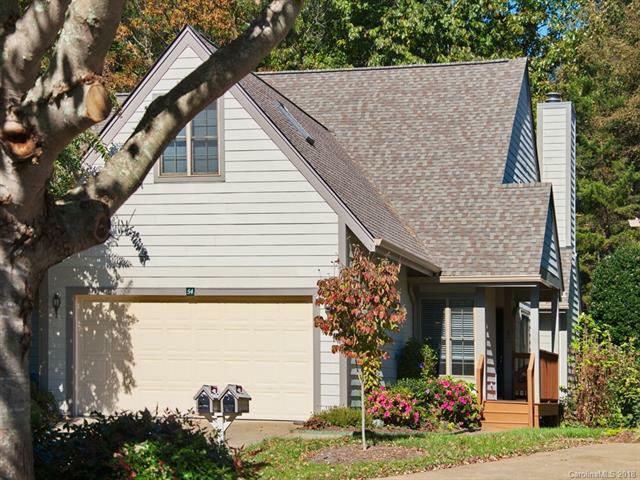 Rarely available 55+ community located only a few minutes to vibrant DT Asheville. Imagine enjoying coffeeeach morning while sitting in your private 4-season sunroom ~ clearly one of the best home features! Thistownhome is move-in ready with newer HW floors, carpet, new quartz countertops and subway tile backsplash, new kitchen island, sink and disposal. Let your green thumb go wild in the private slate rock gardenor simply enjoy watching the new perennials and shrubs bloom and delight you. With plenty of space on themain level you can still find refuge in the 2nd level bonus room, a great space for crafting, art studio or home office. Maintenance free with exterior maintenance and yard taken care of for you! 55+ townhome community that includes clubhouse and fitness amenities. See right away.